A charming boutique hotel set in lush gardens on the coast. Boho-chic accommodatio vary in style from two-bed apartments to cosy studios; the best feature private pools. A laid-backed beach club serves up Caribbean delights. Banana Azul's a tranquil spot made for total relaxation. Beach Life - Located in lush tropical gardens just steps from a white sandy beach. 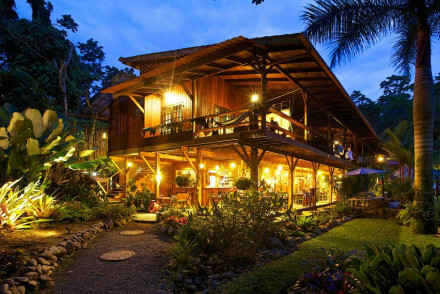 A chic lodge with an enviable locality deep within the jungle. Airy lodges are all wood and glass. Large terraces are the ideal spot to take in the view. Sample local delicacies in the atmospheric restaurant and enjoy lazy hours lounging by the pool. A glorious spot to really get back to nature. Back to Nature - A luxury property located riverside and set amidst the jungle. Sailing - Take a guided boat ride through Tortuguero National Park in search of the bountiful wildlife. Fishing - Fish for Tarpon or Snook on the Atlantic coast. 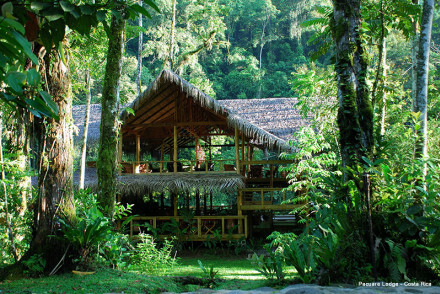 Secluded lodges in the heart of the rainforest. Creatively designed to immerse nature and architecture; think carefully placed windows giving maximum views, baths overlooking the forest canopy and plenty of wood. Feast on exquisite cuisine. A grown-up's luxury adventure land. Back to Nature - Immerse yourself in the rainforest. Fall asleep with the calls of the wild and spend adventure filled days exploring the jungle. 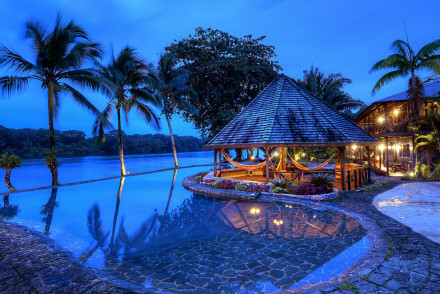 Hideaway - When it takes a raft to reach the property you can be sure of total seclusion. Birdwatching - The rainforest is teaming with birds many of which can bespotted early morning from the property itself.